Happy New Year everyone!!! I am starting the year of with something new. Seeing as I finished my series of Down the TBR Hole posts, I was looking for something new. I always love reading other people their Top Ten Tuesday posts, so I am going to give it a try myself this year. Starting with my ten favourite reads of 2018. TTT is hosted by That Artsy Reader Girl. Pax by Sara Pennypacker is a beautiful middle-grade novel that gave me all the feels. We follow a boy and his fox Pax, who have gotten separated by the war. You can find my full review here. A Robot in the Garden by Deborah Install is another heartwarming story about friendship. It is adventurous and funny and deals with complex themes but all via the adorable robot Tang. Feel free to check out my full review. Combining middle-grade with robots gives us The Wild Robot by Peter Brown, the story of a robot who finds herself stranded on an island and has to befriend the local wildlife. Again, I wrote a full review on this. The Shepherd’s Crown by Terry Pratchett is a book I put off reading for a long time, but finally picked up at the start of the year. I was crying within 30 pages. A wonderful book, by an author who has meant a lot to me and The Husband. I also wrote a full review on this book. Sticking with Terry Pratchett is Night Watch, a book that went straight to my top three favourite Discworld novels (and only isn’t number one because of the very small part Detritus has in it). Furthermore by Tahereh Mafi is a book that got quite a lot of hype when it came out, and that is exactly why I put off reading it, even though I did already own it. I am very glad I finally picked it up though, because it was a wonderful read. It was beautifully written, and had just the right amount of weird and wonderful for me to love it. You can find my full review for it over here. Can we have a favourites list without Brandon Sanderson? Words of Radiance was a reread for me this year, but I loved it once again. Even though it is a Massive book, I flew through it. 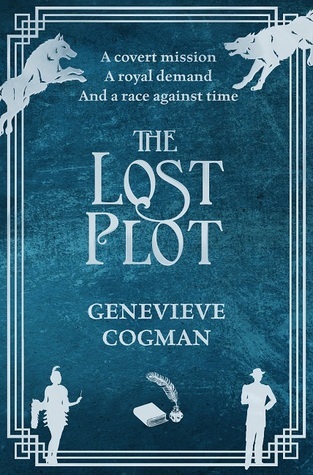 The Lost Plot by Genevieve Cogman is the fourth book in the Invisible Library series, one of the most solid and entertaining series I know. The fifth book also recently came out, and it is waiting on the bookshelf for me to read. A full review of The Lost Plot can be found here. 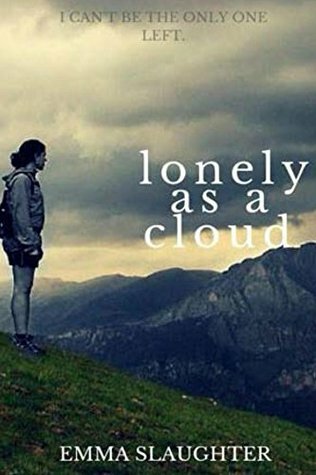 Lonely as a Cloud by Emma Slaughter is probably the best book I have read this year, and definitely one of the best I have read ever. This is an end of the world story in which the human race gets wiped out by a virus. Yes, there are plenty of those. But this one does not look at the effects on a national level, but just focuses on one woman and her family. It pulls on all your heartstrings (seriously, if you don’t well up reading this you don’t have a heart), but also has plenty of fun moments (for example the things this woman gets up to when she is the only human left). This book only has 4 ratings on Goodreads, but deserves so so so much more. Please check out my full review for it. Those were my favourite books of last year. Have you read any of them? What were your favourite books? I loved The Invisible Library. 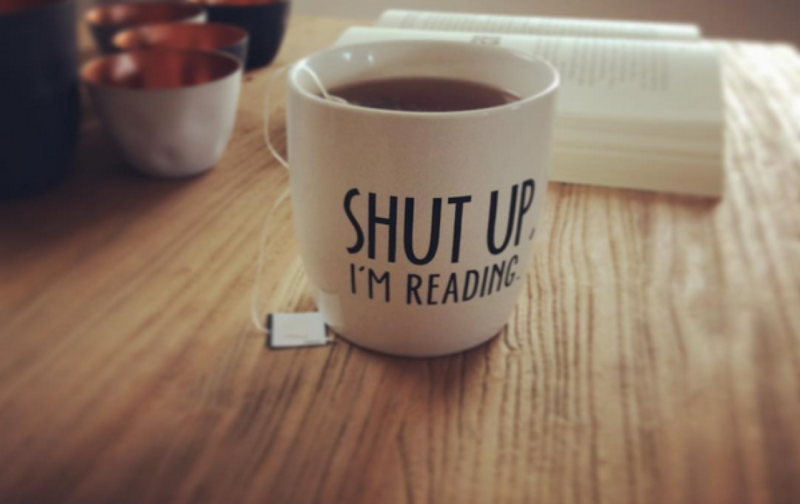 You’ve made me want to read the rest of the series! Plus, Night Watch has to be one of my favourite Terry Pratchett novels. You def should read the rest of the series!!! If you liked the first you will like the others for sure 😁 And jeey for Night watch!! It took me way to long to pick that one up. My daughter read The Wild Robot. It was on her list of favorites this year, too. It really was a great read. The Husband got the sequel for me for Christmas, and I’m going to pick it up really soon. My daughter read that one, too. She loved it as well! So true about Brandon Sanderson! Him being such a prolific author, he’s on my list every year as well, especially since everything he writes is stellar! Great list! I got The Invisible Library for Christmas, so will hopefully be starting that series soon. I hpoe you enjoy the TTT posts! One of the things I like best is that if you don’t like a particular week’s topic, you can go back and revisit one of the older posts for inspiration instead. I hope you enjoy The Invisible Library!! I do like my middle-grade 😋 I’m sure you do!